There I was, gravity pushing me head down into a five foot drop that ended with a concrete slab, and I could not for the life of me swing my legs around to cushion the fall. Maybe a dozen kids were stopped up behind me in the tunnel as I tried and tried and to fit my feet under my chin. And just when I was about to yell for help I was able to just barely free my feet and then jump harmlessly to the ground. Henna followed me down (she of course had no problem whatsoever navigating her way within what is essentially a giant Slinky toy) then we climbed a few steps into a stripped down airplane. While a bunch of little children pretended to fly the Junker, I looked out the window at the greater St. Louis skyline. We did not allow ourselves to become too complacent, as there was still a giant slide between us and firm ground. The place is not for everyone. I do not, for example, recommend that my mom venture anywhere near the museum (because she just might faint if she saw her eldest son and granddaughter stuck several stories high). And to be honest, it is not exactly the safest place around as we witnessed several people hitting their head on concrete overhangs (a wallet also fell a few feet from Corey who was minding her own business on the ground floor). But if you are not squeamish around heights (or sliding your way in and out of incredibly intricate man-made caves that extend upwards for close to a dozen stories), then you really need to check this place out. 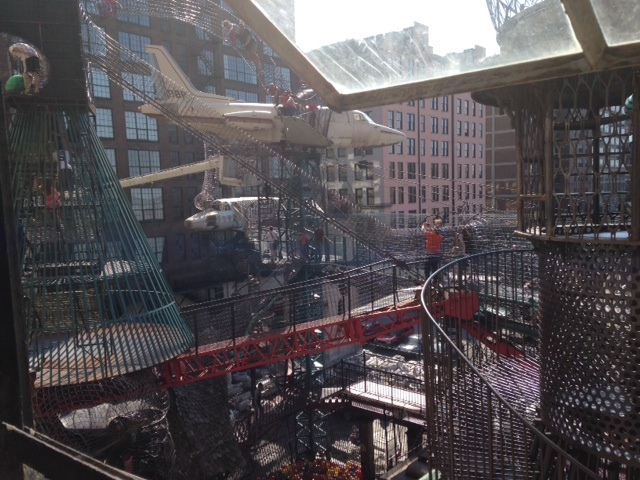 The City Museum is the brainchild of artist Bob Cassilly and his ex-wife Gail Cassilly who purchased a vacant former shoe factory in order to sink an artistic anchor into a dying industrial part of town. Bob was relentless in this pursuit and over time he created a living, breathing art piece that doubled as a playground (the area benefitted nicely too as there now exist several condos and boutiques where once there were only abandoned buildings). Using as much discarded materials as possible as well as the remaining guts of the factory, Bob cluttered floor after floor after floor with giant turning devices, slides that only hint at where you might end up, and climbing apparatuses that allow children to coast along the ceiling and then into different floors. He also designed an amazing labyrinth of caves which both rise vertically as well as outward so that one can either ascend ten stories up or go a few yards to the side. A master of concrete, he filled these caverns with perfectly realized sculptures of animals, and mermaids, and whatever the heck else he thought would complete a subterranean dream. Outside the museum are several slides and rising tunnels that lead to things such as the aforementioned airplane. The City Museum also offers circus classes, an aquarium, an arts and crafts center, and a pretty nifty collection of recovered gargoyles and other things people threw away when knocking down classic buildings. And on the roof are a Ferris wheel and other goodies (which unfortunately for us did not open until mid May). 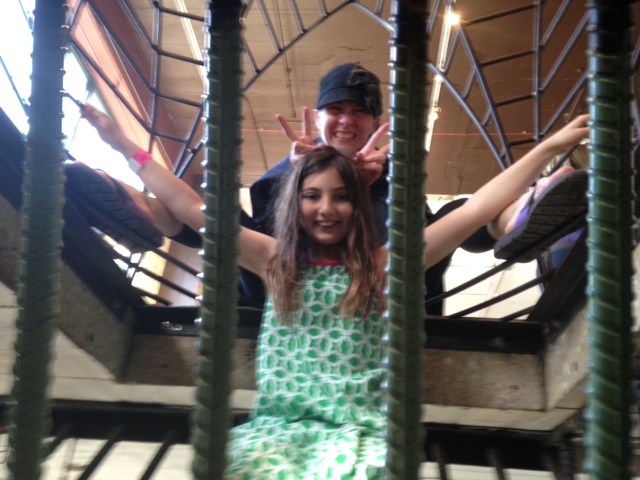 This entry was posted in Along the Mississippi, Middle America, Urban Adventures, weekend idea and tagged City Museum, St. Louis by hennacornoelidays. Bookmark the permalink. 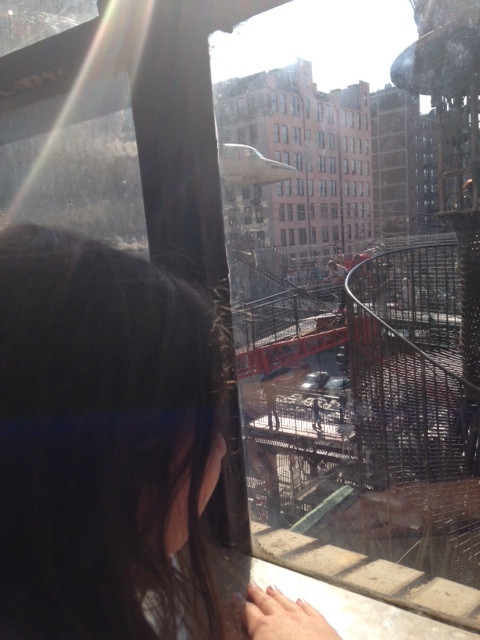 The City Museum is one of my favorite places we discovered while on tour… And on my top 3 fun places list!! It goes like this… Disneyland, Magic Castle, City Museum!